Food and refreshments will be served. A private burial will take place. Everyone who ever met Garry Pennington knew he was a tough, hard nosed son of a West Virginia coal miner with a huge heart for his family and friends. Garry lived 78 years and throughout his life he was a fighter, overcoming adversity and fighting for workers’ rights as a union president and later a regional union representative. If there is a theme for his life it would be courage and a willingness to stand up for those people he believed needed a voice. Garry was the guy you wanted on your side and was known for not backing down when he knew he was right. 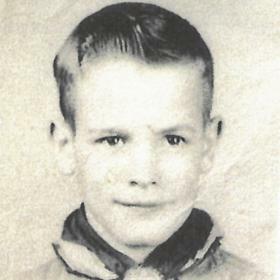 Born on April 23, 1940 in Hazy, West Virginia, a tough coal mining community, Garry was one of 11 children to Eunice and William Pennington. 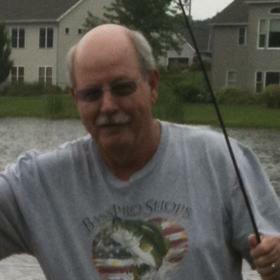 As a boy, Garry was involved in the Boy Scouts and also began his lifelong love of fishing. Those who know Garry will not be surprised that he often enlisted his sister, Lois, to catch crawdads, so he could use them for bait for the big fish in the Coal River.  The Pennington family included four boys: Robert, Donald, Garry, and William, Jr. Their sisters were Patricia, Ruth Ann, Carole, Lois, Beulah, Janet, and Mary Lou. The large family lived in Edwight, West Virginia where William Sr. worked as a coal miner. As Garry worked his way through school, he become known as a tremendous athlete, excelling as one of the state’s top football players at Marsh Fork High School. Playing football for Head Coach Dewey Romine, Garry established himself as one of the top running backs in Marsh Fork history as he led his team to a conference championship during his senior season (1958). In his final game, Garry scored five rushing touchdowns to help his team to the title. He ended his season as the area’s leading scorer and an all-area and all-state player. His multiple touchdown games are still talked about today by those who saw his runs. Pennington was known as an extremely fast and slender running back who was a threat to score on every play. Local media and members of the community affectionately referred to Garry as “Hacksaw” because of his slashing running style and ability to tear up any defense he faced. The nickname stuck, and many of his friends still call him “Hack”. Shortly after graduating from high school, the coal mine where William Sr. worked closed down, leaving many in Edwight unemployed. Garry and his family left West Virginia on a church-sponsored bus to come to Kalamazoo with the promise of a decent wage. They would see employment in the thriving manufacturing economy of Michigan at that time. Garry began working at the Kalamazoo Sled Company before eventually getting a job at Checker Motors Corporation. Garry’s father, William, became ill from the years of working in the mines and succumbed to black lung shortly after the family relocated to Michigan. Soon after Garry moved to Kalamazoo with his family, he returned to West Virginia to ask his soon-to-be wife, Nancy Lewis, to come to Michigan with him. 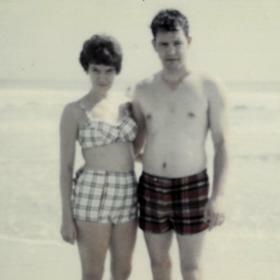 They married in 1960 and stayed together nearly 59 years. Garry and Nancy would have two sons: Darrell, born in September of 1961, and Derek, born in April of 1971. The boys grew up on the south side of Kalamazoo on Denway Drive in a house that Garry and Nancy purchased in 1965. Garry was heavily involved with both of his sons, who were good athletes in their own right. Garry coached numerous Little League teams and helped start a youth football program in Kalamazoo in the early 1970s. Garry taught both boys the same hard nosed approach he had in sports in West Virginia. Anyone who watched Darrell or Derek play in high school can attest to the fact that they approached the game as Garry did: with a laser focus for winning and a physical toughness that was unmatched. 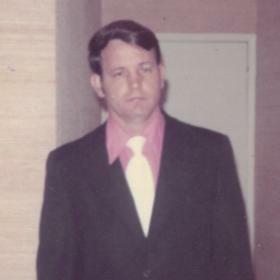 Professionally, Garry was elected union president at Checker Motors Corporation by his coworkers, as he was known for being an intelligent and persistent negotiator. Anyone who knew Garry knew that he was a tough guy with whom to win an argument and was relentless when representing workers and advocating for improved wages and working conditions. Garry’s skills as a negotiator did not go unnoticed, and he was hired in 1986 as a regional representative for the Paper, Allied-Industrial, Chemical, and Energy Workers International Union (PACE). Later, Garry would get another promotion and become a Regional Representative for The United Paperworkers International Union. Garry retired in 2000 after representing thousands of workers all over West Michigan at numerous industrial manufacturing plants. Garry changed the lives of thousands of workers fighting for increased wages, better working conditions, and health care for the workers he represented. Garry remained very active in retirement. 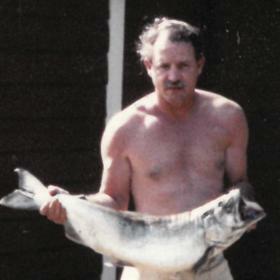 He restored old muscle cars and enjoyed fishing and golfing with his buddies. He loved spending his winters in Orange Beach, Alabama with his friends, Jim Ryan and Rocky Jones, and enjoying seafood dinners with Nancy. 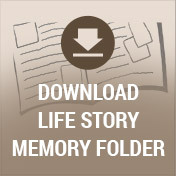 Garry loved his five grandchildren; Shane, Alexa, Celisse, Georgia, and Derek Jr. His home, and even his car, were full of pictures of the grandkids. Garry loved his family and was so proud of all their accomplishments. Garry shared a close relationship with both of his sons as he restored muscle cars and fished with Darrell for many years. Garry was a regular fixture in Derek’s football program in Zeeland and attended games religiously on Friday nights. Garry and Derek talked sports all the time. Garry’s life spanned nearly 79 years and he left a legacy of helping people as a union representative, friend, colleague, father, husband, and grandfather. He will be missed tremendously by all who knew him, but his memory will live on in all that he did for others.